Feature photo by Meryl CA. Above photo by Robyn Johnson. 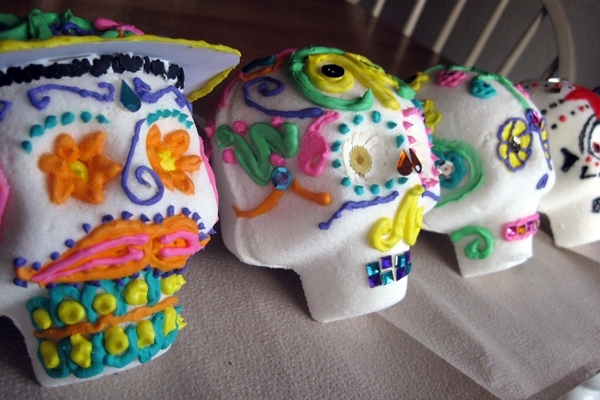 Learn to make this traditional Mexican folk art for memorializing the dead. NOT JUST A TATTOO motif for 20somethings, sugar skulls play a significant role in Mexico’s holiday of remembrance, Dia de Los Muertos. If you’re looking for a creative and tangible way to honor your departed loved ones, consider making this unqiue effigy. Note: Drying times/ amount of water needed vary depending on humidity in your area and size of molds—the following directions are for extra large sugar skulls and a Mediterranean climate zone. -Mix one teaspoon of meringue powder per cup of granulated sugar. You’ll need around 4 cups of sugar for one skull. -Add at least one teaspoon of water per cup of sugar mixture until it reaches the consistency of wet sand—you should be able to hand mold shapes that retain their definition. 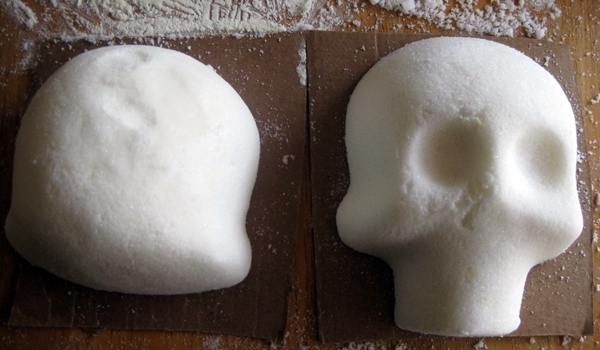 You can buy sugar skull molds at specialty shops or go straight to the source at Mexicansugarskull.com. 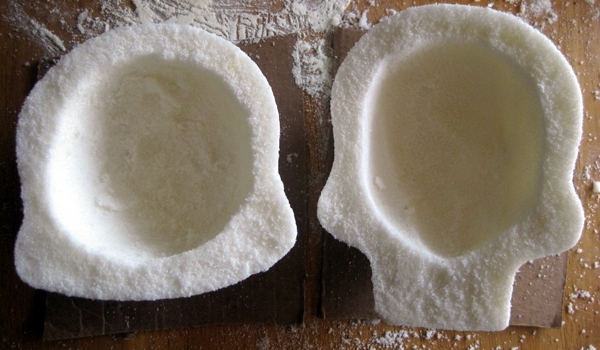 -Heap sugar mixture into the mold, making sure to pack tightly. Scrap off any excess to level the back side. -With flattened fingers, press sugar down to ensure the mold is fully filled and add more if needed. -Once the two skull pieces feel dry enough to handle, scrap out the insides, leaving an inch thick perimeter—like a brain cavity. -Using royal icing, glue the two skull hemispheres together, making sure to wipe off any excess icing at the seam. It should dry relatively quickly—maybe an hour or two at the most. -Use colored royal icing in pastry bags and use other fun materials like dried flowers, sequins, colored foil, and gems to create your own designs . -Once you’re finished, place the skull on the grave of your loved one or save it as a memento. 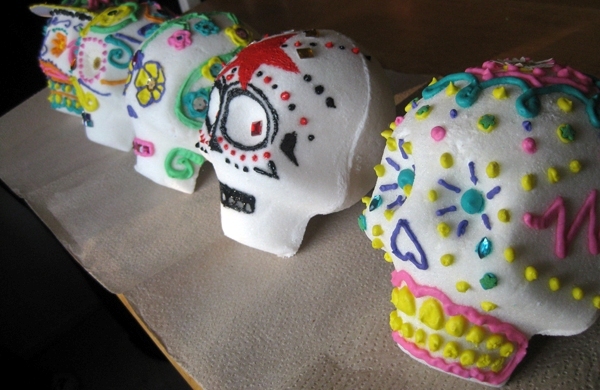 Sugar skulls can be kept for several years.